How has summer been treating you? Hopefully lots of outdoors time, adventures, and perhaps a vacation? What a time spent at the doorstep of the Blue Ridge mountains on Lake Arrowhead in Northern Georgia. Each year my family members from around the country meet for a week of fun and this was one for the books. As an avid DolfinPack user, I knew the pack would come in handy on this vacation so I brought mine along and purchased 4 more to bring for my cousins. The DolfinPack was a huge hit, they all loved and NEEDED these hydration packs. Each day would start with a morning paddle from our lakefront cabin on kayaks and paddle boards into the mile and a half long lake. You get thirsty soaking in the mountain views and wildlife as your cruise the banks. About an hour away was the start of the Appalachian Trail which we hiked and explored two days in a row. The humidity in the forest during mid summer has you sweating faster and than you can drink water from your DolfinPack. 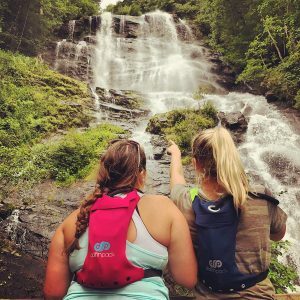 It’s all worth it though when you hike through the trees to find your destination at Amicalola Falls, the largest waterfall in Georgia, what a sight! The DolfinPacks even made an appearance during our day long winery tour. 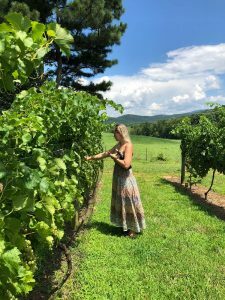 Hydration is a necessity while walking through the winding foothills covered in grape vines and of course when drinking copious amounts of vino. There also may or may not have been wine in the pack’s reservoir at one point in time. Good thing its easy to clean out! All in all it was a great adventure to the outdoors with friends and family and thanks to DolfinPack it was that much better! Looking to purchase a DolfinPack for yourself or a friend? Use the coupon code TAKE15OFF to get 15% off your order. Hey there DolfinPackers! We wanted to introduce you to our friends at Reddy Yeti who have shown us some amazing support over the last year. Reddy Yeti is an outdoor enthusiast community supporting sports and outdoor start ups making gear for skiing, snowboarding, hiking, climbing, camping, surfing, biking, travel and more. The goal is to connect their audience with the best up and coming products and brands from the outdoor industry that they themselves have tested and stand behind. The beginning of the year we sent the Reddy Yeti team DolfinPack hydration systems for their staff to use and review. Needless to say they loved the packs which were primarily used on the back country slops skiing and snowboarding. After writing us a stellar review they continue to market for us via social media and promote our hydration pack. Over the last year they have connected us with their vast ambassador base and continue to help increase the DolfinPack brand image. The DolfinPack office has been buzzing lately as we setup for some big releases over the next couple months. Up first is our highly anticipated release on one of our personal favorite sites, The Grommet! We reached out to The Grommet in early June and we were honored when DolfinPack Hydration Packs were accepted onto the platform. After all, only 3% of products submitted to The Grommet are approved. After a month and a half of generating content, video footage, and getting our ducks in a row, we are pleased to announce that today is the official release day! Join us on The Grommet today as we answer live questions on the DolfinPack product in the official forum, here: https://www.thegrommet.com/dolfinpack. We thank everybody for supporting DolfinPack so far and we are extremely honored to be apart of your outdoor lives. Obstacle course racing has been growing year after year. It’s a true test of endurance and requires preparation and a great training ethic. When it comes to race day, it’s essential to have the best gear to compete at a high level. 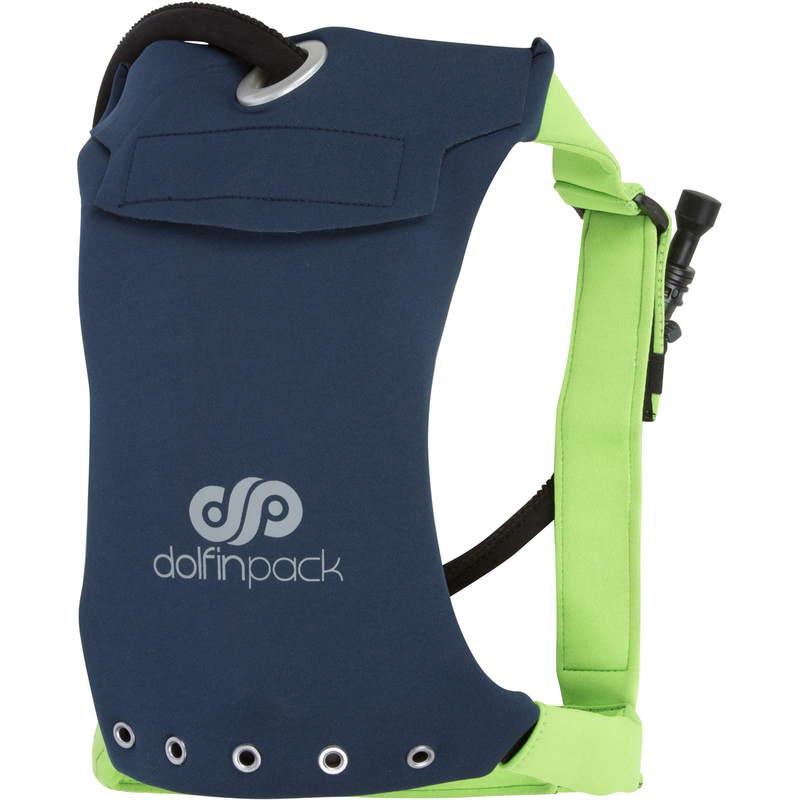 As for your choice of hydration packs for obstacle course races, DolfinPack is the obvious choice. Lightweight – The DolfinPack weighs in under a pound without water. It’s extremely lightweight and fits comfortably on your back. No more bouncing, shifting, rubbing, just lightweight, form-fitting comfort that you won’t even realize is there. Form-Fitting – We touched on this in point #1. 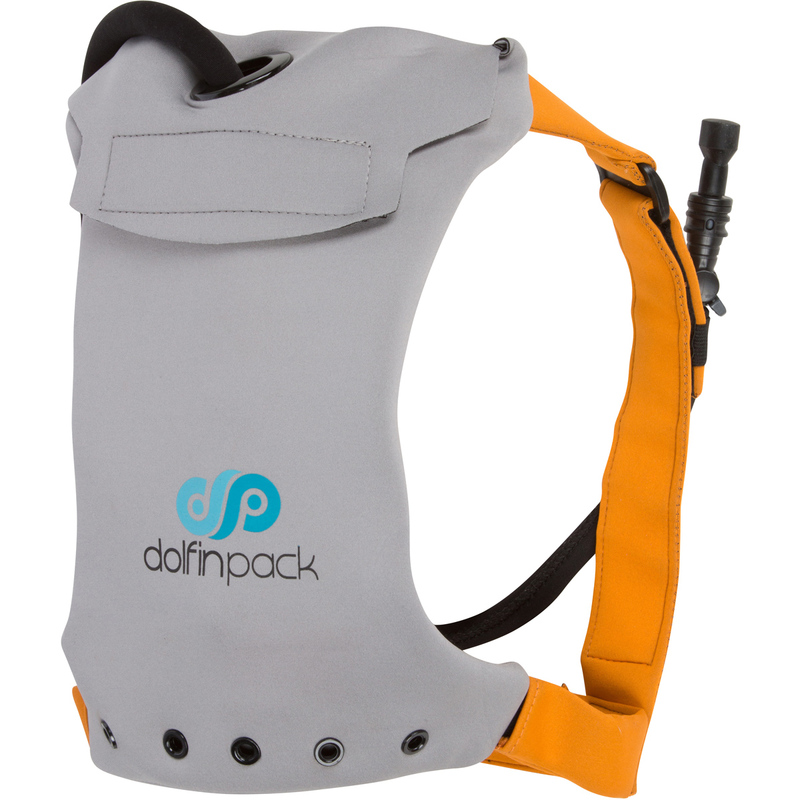 DolfinPack uses a patent pending strap system to lock the pack to your back. Our elastic straps create a one-size-fits-most that can stretch to meet the demands of your body. The neoprene wrapped straps ensure that that pack fits comfortably, does not rub (even on bare skin), and never shifts around during heavy movement. Easy To Clean – DolfinPack is made of neoprene, the same material wetsuits are made out of. When your done with your race, simply spray off the pack with a hose and hang it out to dry. Our reservoirs feature a large mouth fill valve which allows you to reach your entire hand inside to clean. It’s Affordable – Coming in at only $44.95 for our version two 1.5L pack, DolfinPack is very affordable versus alternative options. It’s Time Tested & Durable – DolfinPack has been around since 2014 with relatively the same design. These packs have been put through the ringer and will hold up for your Spartan Race. Our hydration packs are made with the highest quality materials including military grade elastic. I just ran a Spartan race and was concerned about my Camelbak absorbing too much water and holding lots of mud while I ran. So I ordered this Dolfin Pack to use instead. Definitely the best decision I could have made. This pack is super comfortable and light. It fits securely and thanks to the neoprene, it did not chafe me in the least even when I was soaking wet. Since the straps are fitted using velcro instead of buckles, adjustments were easy and fast. Plus the pack did not shift as I drank the water. No mud stayed inside due to the drain holes in the bottom so I had zero added weight from mud and muck. The water storage capacity is perfect. I did not fill mine completely full so I had a bit of space to include a waterproof bag with a tracker inside for my husband to follow my progress with. There is no additional storage space otherwise. I’m a bit torn on whether I would want that or not as it could compromise how the pack fits and drains but for a longer race, I will need to have fuel like GU or NUUN tabs with me so I may need to find another way to do that. I did have to use a bit more pressure on this bite valve to get water out but it wasn’t anything that affected my thoughts on the pack. This thing was completely coated with mud after the race but washed clean in only a couple minutes with cool water and a cleaning brush. This will now be the pack I use for every race I run. I have a beast in August and a half marathon in Sept. and I plan to use this pack for all my OCRs. Thank you Dolfin Pack!! I was not paid to write this or given anything for a good review so this is what I truly think of the product. Since this worked so well, I am also looking at the hydration armband for short runs. Once you find something this good, you stick with ti! Do you have an upcoming Spartan Race you’re preparing for? Get the best gear on the market, order your DolfinPack today! Lightweight Space Saver – The minimalistic patent pending design makes this pack ideal for any traveler; especially those who want to pack light or are on a budget. The pack weighs less than a pound when empty and the 100% neoprene construction allows it to be folded up and put inside any size duffle bag or backpack. This pack is truly designed to go anywhere and everywhere! Traveling Makes You Thirsty – You can’t bring much of anything through airport security these days and who wants to buy that $8 bottle of water at the entrance to Gate 15. Once you enter the terminal simply find a water fountain and fill up your 1.5L reservoir. You can then throw the pack in your carry on and have enough water to last on your long flight to your favorite snowboard destination. Vacation + Adventure = A Need for Hydration – For most travelers a vacation is about exploring and adventure, or relaxation, or most times both. If you’re laying on the beach near an equatorial destination then you might get pretty thirsty while baking in the sun. 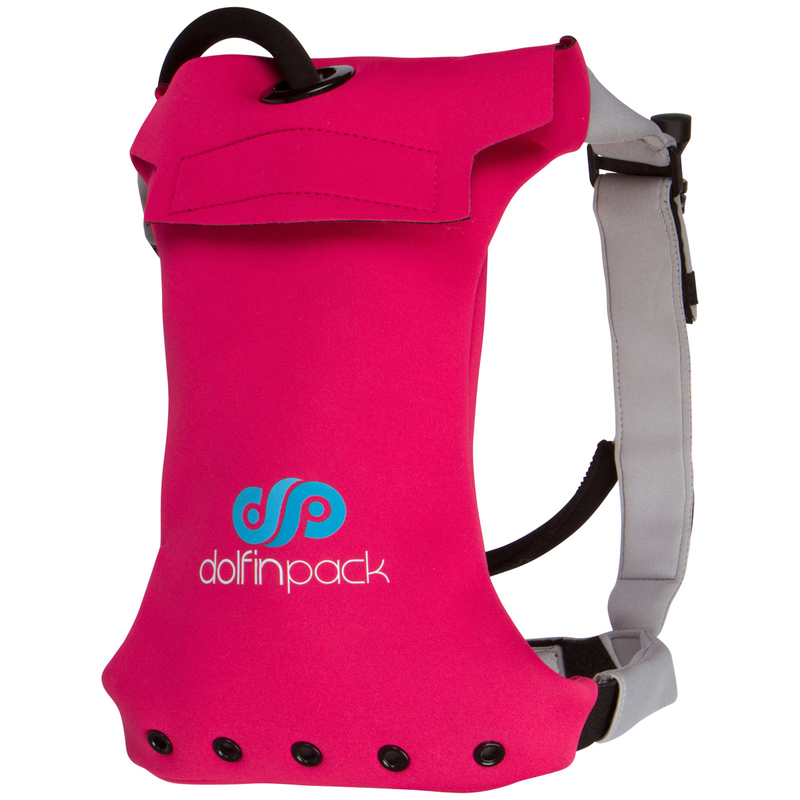 Fill up your DolfinPack with your favorite beverage and tan away without having to move an inch to take a sip! For the more adventurous traveler hydration is simply a need. Who wants to carry a water bottle while cruising down a mountain or paddling out to your favorite surf break. Once you have this pack on you will forget it’s even there! Utility – The DolfinPack was specifically designed to be user friendly and versatile. This pack will keep water cool or from freezing in almost any climate on the planet. Throw your keys, an energy bar or other small belongings in your pack and be ready for whatever the day throws at you! Recently, Hydration Anywhere gave DolfinPack Hydration Systems the coveted award of “Top Running Hydration Pack”. Needless to say, we were pretty excited and immediately blasted through all of our social media channels that we had ousted the top players such as CamelBak. We had a goal with this product when we came to market and we haven’t strayed. We’ve received lots of feedback from product users and we’ve implemented most of that feedback in DolfinPack version 2. One thing we didn’t stray from was a minimalistic design. Despite the few pleads we received from our customers about the need for a secondary pocket or more storage, we stayed true to our roots. If you want a big, bulky hydration pack that functions more like a purse than a water hydration system, DolfinPack is not for you. If you want a minimalistic, form fitting hydration package with enough room to store the reservoir as well as some other goodies, then you’ve hit the jackpot. Why is a hydration pack $80.00? Why is a hydration pack $120.00? Are you kidding me! Another one of our goals was affordability. However, we weren’t willing to sacrifice quality, don’t those go hand in hand? Not necessarily. Here at DolfinPack we’ve establish a strong direct to consumer marketing strategy, along with our minimalistic approach to design, has made it possible to pass those incredible savings along to you, the customer. We wanted to create a hydration pack that could go anywhere. We like to do a lot of stuff, and our customers are no different. Wouldn’t it be great if there was a hydration pack that could go everywhere with you? 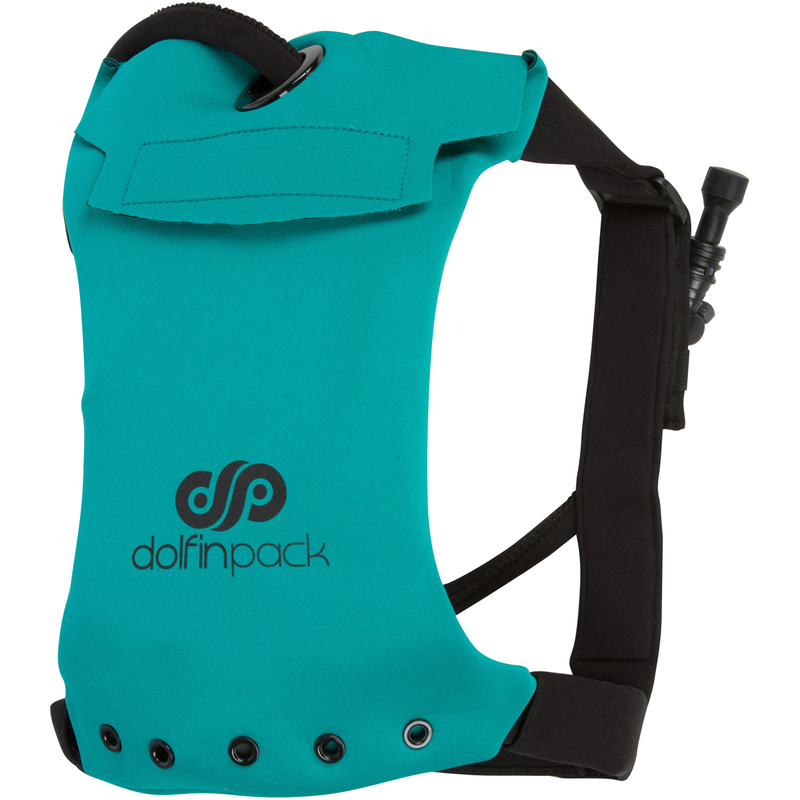 Into the room comes DolfinPack, the go anywhere hydration pack. From our all neoprene design, to our insulated hose cover, to the neoprene wrapped straps for extreme comfort, DolfinPack is great for all! Whether you’re going for a marathon surf session in Central America, running an actual marathon in humid Florida, stand-up paddleboarding through our beautiful rivers and oceans, hitting the slopes in Colorado, or just going for a hike in the local campground, DolfinPack will get the job done! The counts for something right? We’re not your mega company shipping out hundreds of products per day. We’re your friends down the street who saw a niche in the market and acted on it. We’ve taken all the amazing feedback we receive from each and every one of our customers and we’ve acted on it. We’ve replied to your emails, we’ve become friends, we’re just like you. The end result is a great product tailored to you! Hunting season is upon us. Cold, crisp air, mourning dew, there’s never a better time to be in the outdoors. We’ve had a great response from the hunting & fishing community. Most recently at the Florida Sportsman Expo in Jacksonville, FL. It can be long days in the stand or on the water and hydration is a must. What’s even better? Hands free hydration! Strap a DolfinPack hunting & fishing hydration pack on and watch the magic happen. Stay out longer, come home with more game and enjoy your time in the outdoors. Less talk, more pictures. Let’s see the DolfinPack hydration system in use! Thanks for stopping by! You deserve 15% off your first order on DolfinPack. Use code TAKE15OFF at checkout to have the discount applied (applies to non-sale items). Want even more exclusive deals? Sign-up for our mailing list and receive special announcements, be the first to know about new products and color options, and receive specials sales and promotions sent right to your email.